Handmade Italian masterpiece in a driving moccasin. 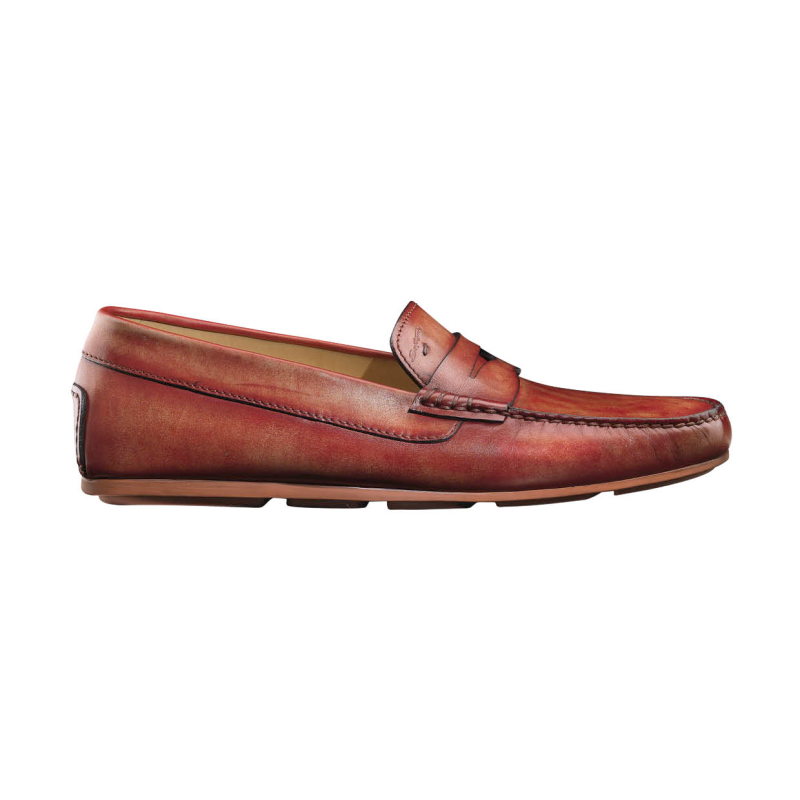 Hand antiqued red finish beautiful fine stitch detailing classic penny loafer styling and comfort rubber driving sole. A shoe for long walks or long drives. Made in Italy. This shoe fits a half size large.